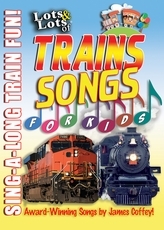 LOTS & LOTS of TRAINS DVD Vol. 2 - Thunder on the Tracks - Marshall Publishing & Promotions, Inc. 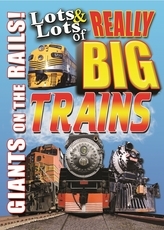 If you love trains, get ready for more of the most exciting trains you’ll ever see in Volume 2 of “Lots and Lots of Trains”! Our crews have scouted the globe to bring you the biggest variety of live-action trains imaginable! 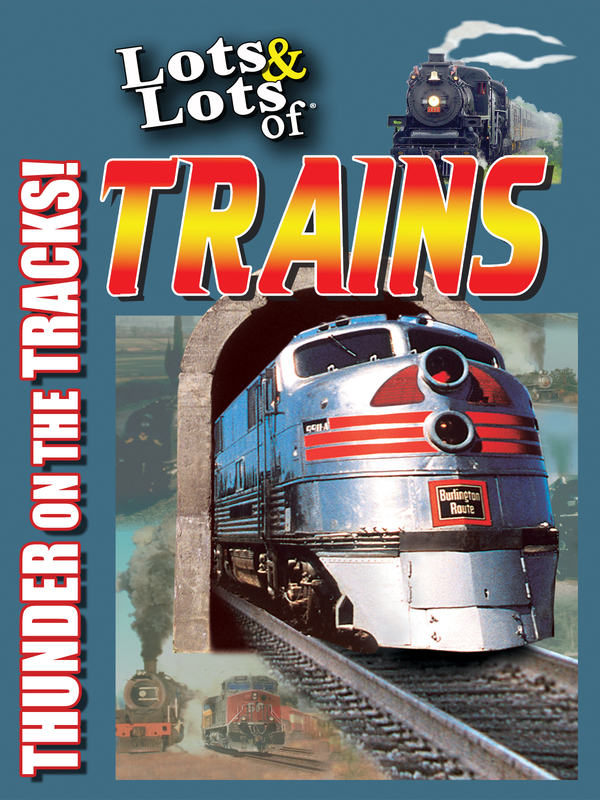 In this DVD volume, you’ll see so many trains we can hardly count them all winding through mountains, climbing steep grades, gliding over trestles, hauling, pulling, loading and much, much more! You’ll hear the blast of the steam whistles, thrill to the blaring of the diesel horns, and watch in awe as these titans of the tracks thunder on by! Feel the heat, smell the smoke and cover your ears because our camera crews take you up-close and right where all the action is! It’s an unforgettable rail experience you’ll want to watch again and again! 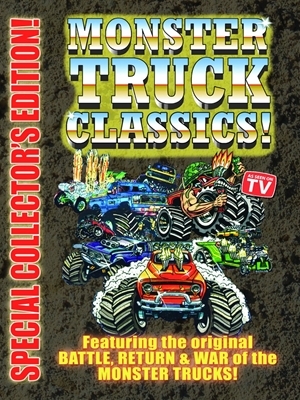 SPECIAL BONUS FEATURES INCLUDE: The Lumberjack Special and Lots of Toy Trains! 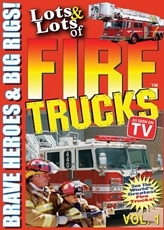 Spectacular close-up camera footage combined with award-winning music by James Coffey and lots of real-life sounds make the thrilling action of these mighty machines a favorite among young and old alike! 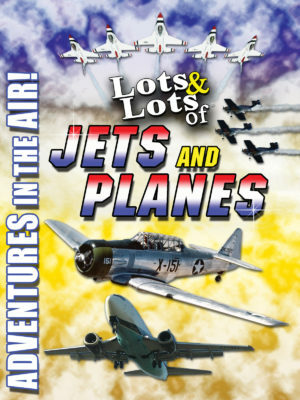 Collect the entire series of “Lots and Lots of” DVDs, CDs and Books! Kids who have autism love this movie, too! 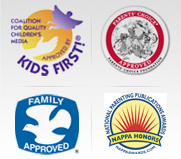 My son has autism and is 9 years old. This movie has been one of his absolute favorites since he was about 4 years old. We’ve gone through 2 copies of it due to the fact that he watches it almost daily. When his last copy recently broke due to the fact that the tape was just worn out, he cried for two days! We promised him he would get a new copy for his birthday this month, and he can’t wait. Lots of kids who have autism love trains for some reason, and they can see lots of them in this movie. He likes to hum the tune from the movie even when he is not watching it. His great-grandfather who retired from the railroad liked the movie so much that he bought himself a copy to watch when we weren’t visiting him! We have many train videos, but this is his favorite, especially Volume 2. 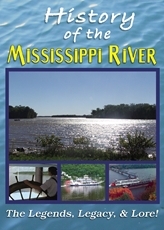 I would recommend this for anyone who loves trains! High on the appeal factor and low on the annoyance factor! Easily one of the best videos my son has. He LOVES it and watches it several times a week, and due to the lack of hokey narration, jokes, etc. I don’t mind even when he wants to watch it twice in a row. When I first heard it was all music and no storyline whatsoever, I wasn’t sure what to think, but it’s actually put together very nicely, and what’s more the music itself is actually VERY appealing – better than some CDs I’ve actually bought for the music! A cinematic tour-de-force. A mix of minimalism and the overpowering grandeur of the train. Perhaps best of all, no purple dinosaur. My 2 year old son loves it.